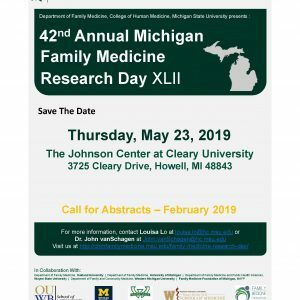 The planning committee for the Michigan Family Medicine Research Day invites submission of abstracts of original research pertinent to family medicine and primary care, including population health and behavioral health integration. More information, including deadlines, can be found here. This annual event is designed to encourage and assist new researchers and scholars in family medicine, nursing and the behavioral sciences in a collegial atmosphere where we can all learn and exchange ideas that may improve patterns of practice and the health of patients under our care. We welcome submission of abstracts on research, scholarly and quality improvement projects. Research abstracts will focus on the collection, analysis and presentation of original data, either quantitative or qualitative. Scholarly categories include case reports accompanied by a literature review* and curriculum development projects. Quality improvement projects, particularly those with measurable patient outcomes, are encouraged. 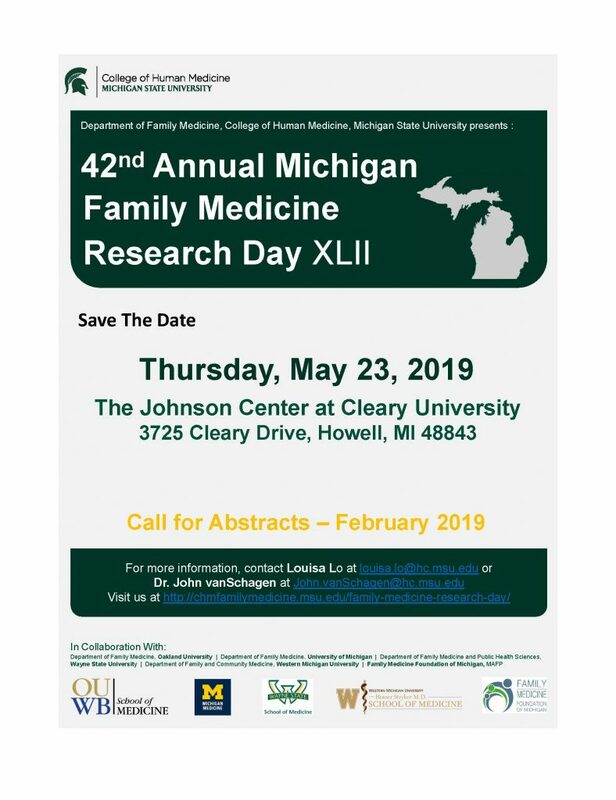 Save May 23rd, 2019 for the 42nd Annual Michigan Family Medicine Research Day.